#FlexYourRights – a special series of posters for the Special Rapporteur’s #FOAAat50 campaign, commemorating the 50th anniversaries of the International Covenant on Civil & Political Rights and the International Covenant on Economic, Social & Cultural Rights. 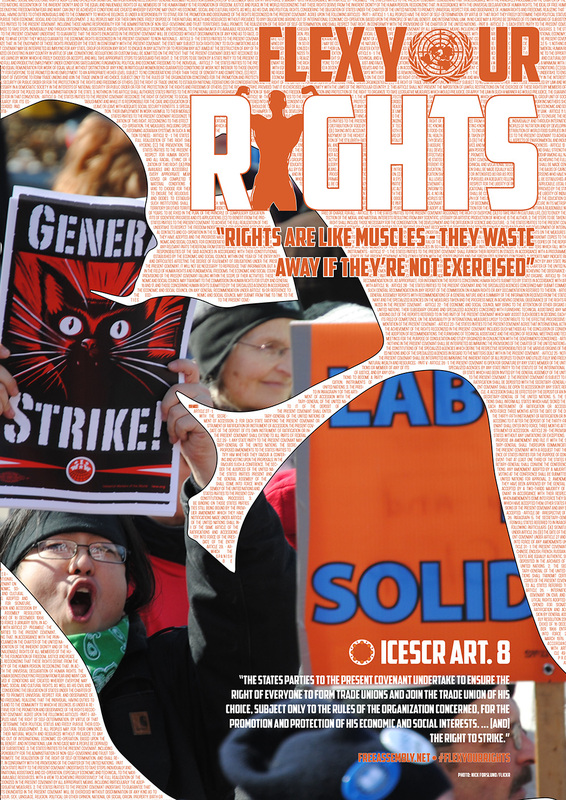 Click on any of the images below to see the full size poster. 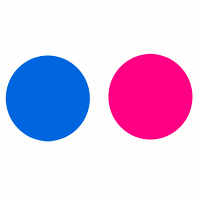 Note that these images are optimized for web viewing (1,000 x 1,416 pixels). 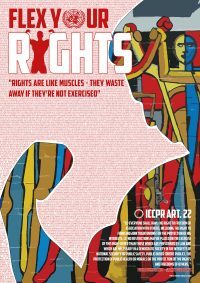 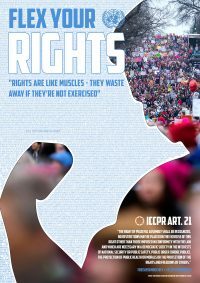 To download full-size, high-resolution versions of the posters – suitable for printing up to A1 size – please see our #FlexYourRights Flickr album.